and view the short video! GGR: Girlz Gone Riding News! 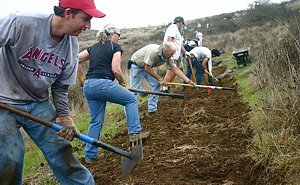 Trail Days 2016: We Need Your Help to Restore Sycamore Canyon Trails! Excerpted from the complete article, which appears on CORBA’s news. Click here to read the full article. Currently mountain bike advocacy is facing one of the the most important long-term issues in our history. 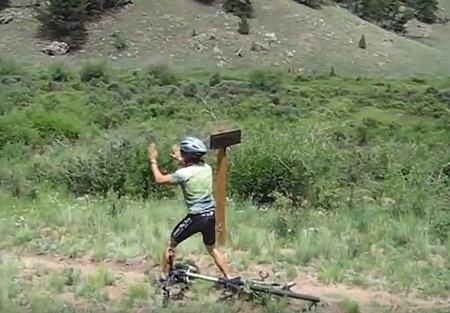 The issue is whether mountain bikes should be allowed on trails in Wilderness areas. How mountain bikers and advocacy leaders respond to this can either polarize us or make us an even stronger voice in the trail user and land stewardship community. The Sustainable Trails Coalition (STC), is a 501c4 organization formed with a single mission: to pass federal legislation that would allow local land managers to open trails in Wilderness areas to bikes, on a case-by-case basis. 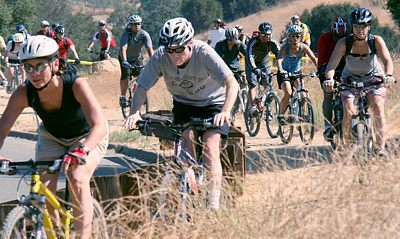 The International Mountain Biking Association (IMBA) has stood firm on their approach to dealing with land access issues, but have remained neutral towards STC. Writers like the Angry Singlespeeder have been calling for increased pressure on IMBA to fully support the STC, and have construed IMBA’s neutral position as weak and unsatisfactory. 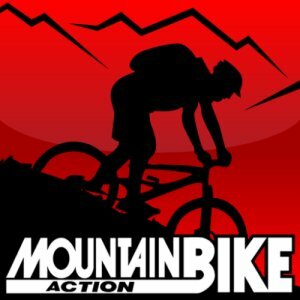 The issue has begun to polarize the mountain biking community, with the rhetoric rising to an “us vs. them” situation, with some calling to stop supporting IMBA and instead support STC. We believe we need both organizations. STC's single, focussed mission is to enact legislation that will allow management of wilderness trail access (and mechanized maintenance) at the most local level feasible. STC is not a membership organization so is not structured for or able to do anything to open closed trails to bikes or develop and maintain positive relationships with land managers that are key to our future successes. It will be a difficult struggle and take some time before STC’s efforts may prove fruitful. IMBA chapters are currently doing the vast majority of advocacy and access work at the local levels. If STC is successful in passing their legislation it will likely be IMBA chapters doing the outreach and hands-on work to give the STC's legislation teeth, by working directly with local land managers to open trails under the authority of STC's Human Powered Wildlands Travel Management Act of 2016. But even with that legislation in place, it won’t be an easy task. Each trail request will require a National Environmental Policy Act (NEPA) process, and may take years to see successes. Still, if the act passes, CORBA will be there ready to ask for access to trails long since closed to us. The issue has brought about change in IMBA’s strategies. Their 2016 Advocacy Position clearly states that they will continue to fight more aggressively to keep trails open in the face of Wilderness proposals, wherever there are local chapters available to do the on-the-ground work needed. They have been emboldened to take a firmer stance to prevent trail closures, within the constraints they operate under as a nonprofit organization. Wilderness and environmental advocates are finding it increasingly difficult to pass Wilderness legislation when advocacy groups like IMBA and its chapters are directly and strongly opposed. IMBA is also investigating the merits of a legal challenge to recent trail access losses in the Bitterroot National Forest in Idaho. They have expressed a desire to legislatively adjust existing Wilderness boundaries to open trails that have been closed to bikes. But their stance falls short of lobbying for sweeping change at the legislative level, which is precisely what STC is positioned to do. Let's not have this issue divide us, weaken us, and allow us to be conquered by organizations that want to keep bikes out of Wilderness. Our members can support both STC and CORBA/IMBA, and both organizations will be stronger for it. While we applaud the STC for their approach, CORBA will continue to work on efforts that have immediate, near-term benefits to all mountain bikers and our public lands: trail maintenance, management plan advocacy, currently pending bills, land manager relations, education, and stewardship. We also hope that one day, CORBA will be in a position to ask our local land managers to open trails in current Wilderness areas to bikes, under the authority of STC's legislation. But until then, we have to stay strong, stay united, and keep striving towards making immediate, short-term differences, happy in the knowledge that STC is working on a long-term strategy that most of our members agree would be a step in the right direction for all of us. On January 30, 2016, sixteen outstanding participants in high school cycling leagues across the U.S. were honored at the 2015 National Interscholastic Cycling Association (NICA) Awards, held at Clif Bar & Company Headquarters, in Emeryville, California. CORBA president Steve Messer was the recipient of NICA’s Community Impact Award. The award was a complete surprise to both Steve and SoCal League director Matt Gunnell, with whom Steve and CORBA have work since the league’s infancy to support High School Mountain Biking and getting more kids on bikes. We have a very busy trailwork schedule for the next months. There's lots going on! 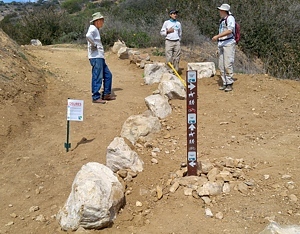 Friday to Sunday April 22 -24: 35th Annual Santa Monica Mountains Trails Days in Pt. Mugu State Park. This annual event attracts well over a hundred volunteers who work on various trails in Pt. Mugu State Park (aka Sycamore Canyon). You can help on the trails on both Saturday and Sunday. If you like, you can camp over Friday and/or Saturday night for no cost, the only time during the year you'll be able to do this! There are thank-you prizes both days, and a BBQ dinner is provided on Saturday night. It's quite an event! You can sign up to help for Saturday and/or Sunday separately. Info and registration for Saturday. And info and registration for Sunday. Ken Burton Trail, Days 9 & 10. After two more work days in February where CORBA and the MWBA joined forces, over 1000 volunteer hours have been used to clear 1.8 miles of the 2.25-mile long trail. See the full story on our blog. Yerba Buena segment of the Backbone Trail, February 27. Twenty-seven volunteers, including 10 from CORBA, showed up to help repair water damage to the west end of the Yerba Buena segment of the Backbone Trail. We started at the Mishe Mokwa trailhead parking lot and worked our way east, covering 3/4 miles of trail. See the full story on our blog. Trancas Canyon segment of the Backbone Trail, February 6. Twenty-five high school mountain bike team members and fourteen USC students, along with a few parents, coaches and CORBA and SMMTC trail crew leaders, came out this past Saturday to address the ruts on the Trancas Canyon section of the Backbone Trail. We installed or fixed about 50 drainage nicks and otherwise repaired water damage over about a mile of the trail. See the full story on our blog, which includes why the event was almost cancelled at the last moment! Giant Bikes Works the Potrero Ridge Trail, January 15th. The North American Headquarters for Giant Bicycles is located in Newbury Park. 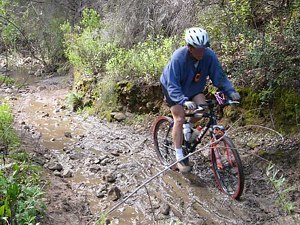 As good corporate citizens, they want to help with local trails, which many staff ride on a regular basis. Giant coordinated with CORBA and COSCA to find a suitable tail, which turned out to be the Potrero Ridge Trail, heading up the steep hill from the Reino Road parking area. This is a fitting trail because the first part was built during a visit from the IMBA Trail Care Crew in 2005! For the full story, see our Giant Bikes trailwork blog. To see all the details, check out the March GGR article on CORBA's blog! The National Park Service today released the Final Study Recommendations for the Rim of the Valley Corridor Special Resources Study. CORBA has been involved in the Rim of the Valley process since congress authorized the study in 2008, and even before that when the concept was only for a Rim of the Valley trail. We are pleased to see the final recommendation includes most of what we–and many other groups and individuals–suggested in our comments. The recommendation is a hybrid of Alternatives C and D of the draft released last June. You can read all about the final Rim of the Valley recommendations in our blog.